St. Catharines manufacturer, Girotti Machine Ltd., has been awarded nearly $23,000 in Ontario training grants and that’s just the beginning of their funding plans. Government funding has allowed the company to implement technical training for its 40 employees. The manufacturer recently integrated funding into its strategic planning process to support upcoming projects. To implement its workforce development plan, Girotti Machine Ltd. accessed Ontario training grants through the FedDev Ontario Training Program. The funding program’s contribution helped the company access several training programs, including Lean Manufacturing and Mastercam CAD/CAM Software training. Employee training has led to enhanced production capacity, increased output, and a reduction in lead times. We recently spoke with Girotti Machine’s President, Aaron Tisdelle, who shared how accessing Ontario training grants helped the company accelerate its workforce development initiatives. Aaron explained how Mentor Works identified specific funding opportunities and how to leverage grants to increase the scale and impact of the company’s upcoming workforce development projects. – Aaron Tisdelle, President, Girotti Machine Ltd.
Girotti Machine Ltd. specializes in custom machining, design and build, and the manufacturing and repair of machinery and parts. The company was established in 1946 as a custom machine shop serving the paper mills in the Niagara Area. Today, Girotti designs, builds, tests, and delivers products for a wide variety of industries including marine transportation, oil and gas, steel and paper mills, automotive, and power generation. In recent years, the company has dedicated financial resources to accelerate workforce development, equipment, and software investments. These ventures have helped Girotti take on additional client contracts, maximize profitability, increase efficiency, and reduce the risk of losing key accounts. By partnering with Mentor Works, the business has identified significant government funding opportunities to support its growth strategy. In March 2017, Girotti Machine Ltd. was awarded $22,926 in Ontario training grants through the FedDev Ontario Training Program. Lean manufacturing Develop skills to refine operational processes, enhance production procedures, improve flow of information, and increase productivity. Mastercam Utilize new software to effectively build models and develop programs for CNC machinery leading to increased efficiency and faster design times. Linux Develop skills to use Linux software to link the company’s CNC computer room and CNC machines throughout the facility. Roamer arm Provide inspection employees with advanced skills to operate a new roamer arm and fully utilize PC-DMIS CAD++ software. Crane Gain advanced crane operation proficiency to reduce downtime, minimize equipment damage, and reduce the risk of on-site injuries. Boring Mill Develop skills to operate a new horizontal boring mill which will increase capacity, enhance production capabilities, and improve lead times. Cross Increase employee flexibility allowing everyone to support functions outside the scope of their current role and support other shifts. The FedDev Ontario Training Program program supports the adaptation of advanced technology and new processes or procedures to assist Ontario manufacturers . Small business grants can be used to reduce the costs of employee training and/or upskilling. Training should focus on the adoption of new technology, which will improve the company’s innovative capabilities and global competitiveness. Eligible applicants may receive up to 50% of training costs to a maximum of $50,000 in Ontario training grants. Girotti Machine Ltd. will continue to access funding opportunities to support their upcoming projects. Workforce development continues to be a focus for the company, which can be funded through other programs such as Canada-Ontario Job Grant (COJG). This grant initiative will allow the business to access third-party training programs to further develop employee skillsets. Additionally, Girotti Machine Ltd. hopes to leverage government funding for future capital investment initiatives and hiring recent post-secondary graduates. The Government of Ontario is continuously looking for ways to support business growth and development across the province. By providing small business grants to growth-oriented businesses, employers can make workforce development investments that improve their internal and external operations. 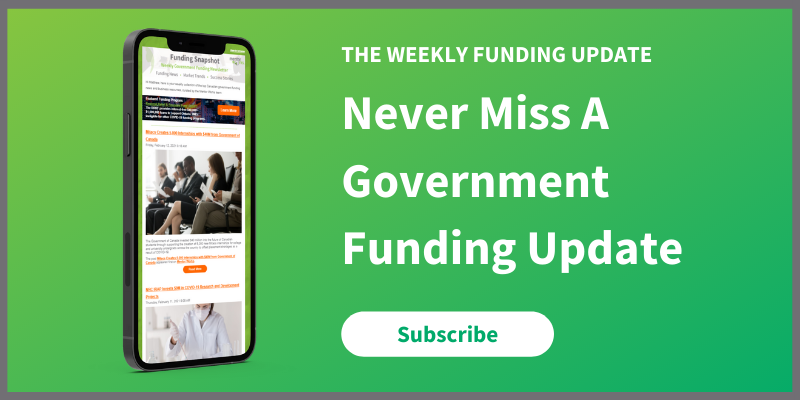 Register for Mentor Works’ Weekly Funding E-Newsletter to stay up-to-date on current Ontario government funding opportunities.